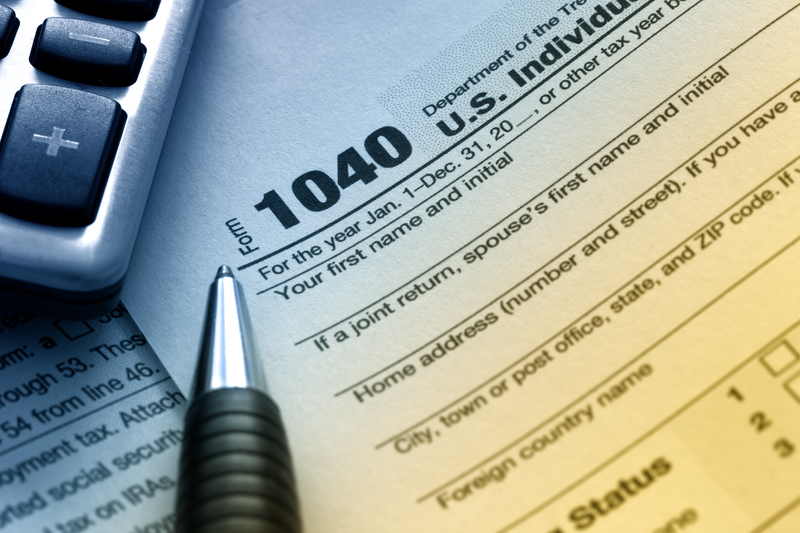 WASHINGTON — Kicking off the annual “Dirty Dozen” list of tax scams, the Internal Revenue Service today warned taxpayers of the ongoing threat of internet phishing scams that lead to tax-related fraud and identity theft. To help protect taxpayers against these and other threats, the IRS highlights one scam on 12 consecutive week days to help raise awareness. Phishing schemes are the first of the 2019 “Dirty Dozen” scams. or as someone the taxpayer trusts or recognizes, such as an executive, to initiate a wire transfer. Your devices make it easy to connect to the world around you, but they can also pack a lot of info about you and your friends and family, such as your contacts, photos, videos, location and health and financial data. Follow these tips to manage your privacy in an always-on world. Secure your devices: Use strong passwords, passcodes or touch ID features to lock your devices. These security measures can help protect your information if your devices are lost or stolen and keep prying eyes out. Get savvy about WiFi hotspots: Public wireless networks and hotspots are not secure, which means that anyone could potentially see what you are doing on your mobile device while you are connected. Limit what you do on public WiFi, and avoid logging in to key accounts like email and financial services on these networks. Consider using a virtual private network (VPN) or a personal/mobile hotspot if you need a more secure connection on the go. Keep your mobile phone and apps up to date: Your mobile devices are just as vulnerable as your PC or laptop. Having the most up-to-date security software, web browser, operating system and apps is the best defense against viruses, malware and other online threats. The Internal Revenue Service and its Security Summit partners today warned tax professionals of an uptick in phishing emails targeting them that involve payroll direct deposit and wire transfer scams. These emails generally impersonate a company employee, often an executive, and are sent to payroll or human resources personnel. The email from the "employee" asks the payroll or human resource staff to change his or her direct deposit for payroll purposes. The "employee" provides a new bank account and routing number, but it is actually controlled by the thief. This scam is usually discovered pretty quickly, but not before the victim has lost one or two payroll deposits. In another version of the BEC/BES scam, the emails impersonate a company executive and are sent to the company employee responsible for wire transfers. The email requests that a wire transfer be made to a specific account that is controlled by the thief. Companies that fall victim to this scam can lose tens of thousands of dollars. One version the IRS and Summit partners have highligted in recent years is the W-2 scam. This involves an email impersonating an executive or person in authority, which requests a list of the organization's Forms W-2 covering all of its employees. The purpose of this scam is to allow thieves to quickly file fraudulent tax returns for refunds. All employers, in both the public and private sectors, should be on guard against this and other dangerous scams. You can be a victim of identity theft even if you never use a computer. Malicious people may be able to obtain personal information (such as credit card numbers, phone numbers, account numbers, and addresses) by stealing your wallet, overhearing a phone conversation, rummaging through your trash (a practice known as dumpster diving), or picking up a receipt at a restaurant that has your account number on it. If a thief has enough information, he or she may be able to impersonate you to purchase items, open new accounts, or apply for loans. The internet has made it easier for thieves to obtain personal and financial data. Most companies and other institutions store information about their clients in databases; if a thief can access that database, he or she can obtain information about many people at once rather than focus on one person at a time. The internet has also made it easier for thieves to sell or trade the information, making it more difficult for law enforcement to identify and apprehend the criminals. How are victims of online identity theft chosen? Identity theft is usually a crime of opportunity, so you may be victimized simply because your information is available. Thieves may target customers of certain companies for a variety of reasons; for example, a company database is easily accessible, the demographics of the customers are appealing, or there is a market for specific information. If your information is stored in a database that is compromised, you may become a victim of identity theft. Are there ways to avoid being a victim? Check privacy policies – Take precautions when providing information, and make sure to check published privacy policies to see how a company will use or distribute your information. (See Protecting Your Privacy and How Anonymous Are You? for more information.) Many companies allow customers to request that their information not be shared with other companies; you should be able to locate the details in your account literature or by contacting the company directly. Use and maintain anti-virus software and a firewall – Protect yourself against viruses and Trojan horses that may steal or modify the data on your own computer and leave you vulnerable by using anti-virus software and a firewall. (See Understanding Anti-Virus Software and Understanding Firewalls for more information.) Make sure to keep your virus definitions up to date. What can you do if you suspect or know that your identity has been stolen? Start by visiting IdentityTheft.gov – This is a trusted, one-stop resource to help you report and recover from identity theft. Information provided here includes checklists, sample letters, and links to other resources. Possible next steps in the process – You may need to contact credit reporting agencies or companies where you have accounts, file police or other official reports, and consider other information that may have been compromised.